Finnish missions abroad, your insurance company or the guide from your travel agency can provide contact information for physicians and hospitals abroad. In case of an emergency, call the local emergency telephone number. In case of a death, the mission will help with the arrangements related to the burial, cremation or repatriation of the deceased if necessary. Residents of Finland have the right to receive healthcare during temporary stays in other EU or EEA countries or in Switzerland. You can prove your right to receive healthcare with a European Health Insurance Card. The card is available at Kela offices to all persons covered by social insurance in Finland who are planning to visit an EU or EEA country or Switzerland for a vacation, studies, a job posting or job-seeking purposes. It is always advisable to purchase private travel insurance, since the European Travel Insurance Card does not cover the costs of specialised treatment or repatriation in the event of a serious illness or death. If you plan to engage in recreational activities with a high degree of risk (such as scuba diving, rock climbing or downhill skiing), you should also make sure your insurance policy provides sufficient coverage. If you fall ill, contact your insurance company’s emergency service number. They can provide instructions, contact the physician treating you and, if necessary, make arrangements to get you home. If the physician abroad does not accept payment agreements from foreign insurance companies, you will have to pay the costs for the treatment yourself. However, you can claim reimbursement for the costs later. Matters concerning private individuals are confidential. You decide who can be informed of your illness. If a person who has fallen ill is unable to communicate, his or her information will be disclosed only to family members. Sometimes, the stress of travelling, cultural differences or conflicts can put strain on a traveller’s mental health. This can lead to symptoms even in healthy individuals. For this reason, too, it is important to make sure you have a travel insurance policy with sufficient coverage. It may be difficult to find help for mental health problems in unfamiliar surroundings abroad, and in the case of symptoms requiring more demanding treatment, your trip may have to be cut short. In urgent, traumatic crisis situations (such as an accident, death of a close friend or family member, or becoming a victim of robbery or violent crime), you can contact the nationwide Social Emergency and Crisis Centre of the City of Vantaa, which operates 24/7, by calling +358 9 839 24 005. In case of a death abroad, Finnish missions will help with the arrangements related to the burial, cremation or repatriation of the deceased if necessary, according to the wishes of the deceased’s family. If the deceased was uninsured, the family is responsible for all costs. The staff of the Finnish mission are generally notified of the death of a Finnish citizen or resident abroad by the authorities of the country in question, a guide from the deceased’s travel agency or the Honorary Consul. 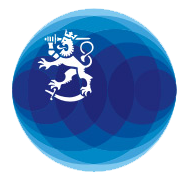 The mission notifies the Ministry for Foreign Affairs, which forwards the information to the police in Finland. The repatriation and burial arrangements are handled by the funeral home. In case of a death abroad, Finnish travel insurance usually covers either the cost of repatriation of the deceased to their place of residence in Finland or local burial costs. If the deceased was uninsured, the family is responsible for all costs. Repatriation to Finland can be very costly. In case of a death abroad, you can contact the Ministry’s switchboard on +358 (0)295 350 000 during office hours or call the 24/7 Service on +358 (0)9 1605 5555 outside of office hours. If the deceased is repatriated to Finland in a coffin or urn, a Finnish medical examiner will draw up the death certificate. In other cases, the family of the deceased must make sure the date of death is entered in the Finnish Population Information System. A notification of a deceased Finnish citizen can be made at the local register office or delivered/mailed to the Finnish mission abroad, which will send it to the local register office to be entered in the system. The notification form must be accompanied by the original, official death certificate or a copy of the certificate that has been authenticated by the Finnish mission. If the document is written in a language other than Finnish, Swedish or English, it must be translated into one of these languages by an authorised translator. If the documented is translated abroad, the translation must also be authenticated. A document translated by an authorised translator in Finland does not require separate authentication. The family or friends of the deceased are responsible for the cost of obtaining, translating and authenticating the death certificate.